Devonia Pest: You kids might be an interested to know that I'm a featured performer Saturday nights at the Padded Zebra. Fun, with a GREAT dog! We are dog lovers and had been meaning to watch some of the Beethoven series for quite a while. We found a DVD collection of all five at a good price so we snapped it up and sat down for the first installment. We honestly didn't know what to expect so, to minimize our risk of disappointment, decided that we were only watching to enjoy the St. Bernard. The movie turned out to be a very pleasant surprise, easily exceeding those expectations. Beethoven is the star, as he should be. The human cast, however, perform wonderfully in providing the light framework required to string Beethoven's scenes together. Charles Grodin especially shines as the dad who is, at first, not exactly enthused about getting a dog. Much less a monster dog who only drools and sheds and eats. 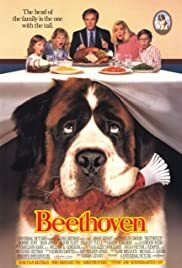 So, if you enjoy dogs and light-hearted fun, Beethoven won't disappoint. There are no Machiavellian plots or cruel content. 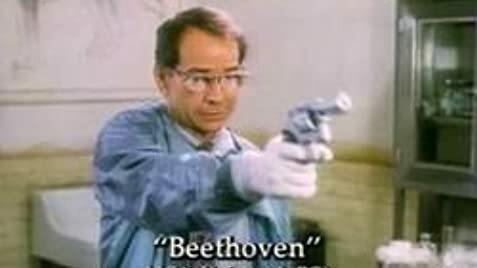 The family is wonderfully good, the villains are comically bad and the suspense of their threat is enjoyable because you know, Beethoven's gonna win in the end. Overall, very charming with a good, wholesome sense of humor. 6.5 out of 10.